No one likes to be the victim of a scam but it seems like every year scammers are finding new and more creative ways to weasel people out of their money and even their homes. A new scam that targets seniors is prevalent, especially in snowbird states like Arizona. Seniors are being targeted in these new real estate scams that try to get them to sign over their home for far below market value. Here’s how it works. Homeowners simply receive a letter in the mail for an offer to buy their home. The letter includes paperwork to sign and consent to sell. You don’t even have to have your home on the market or even consider it to get this letter. Many people think that this is something from their mortgage broker or something they must sign because the message it sends is not clear. 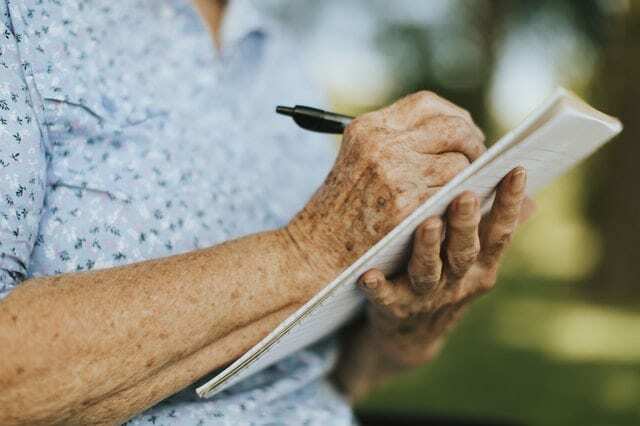 These direct solicitations to elderly homeowners contain offers well below market value and if the homeowner is unaware of these, may blindly sign something. These scams target the elderly and may not even be voidable for those that sign. Most people may not clearly understand what they’re doing and if a homeowner does not have the mental capacity to understand, they might find themselves in a world of hurt. The scammers troll public property records looking for elderly homeowners who have very low assessed values. They may even knock on your door. In San Diego County, the prosecutors have seen numerous cases were scammers approach and befriend people or even use religion to convince people to sell their property at below market values. If you receive any type of solicitation either by phone, mail, or door to door, it’s important to report any of this information to police and district attorney offices. Seniors should not sign any paperwork without first consulting a real estate agent, lawyer, or their financial advisor. Any time you receive anything in the mail regarding your property that you do not understand, please don’t sign it. Feel free to contact my office and I can explain whatever it is you’ve received in the mail or point you in the right direction for filing a claim. If you think you have already signed something like this, contact a real estate attorney or give me a call and I can put you in touch with someone throughout the Mesa Arizona area that can help you understand and fight these tricky scammers.